Firefox 5 is now available for download, but only via FTP. Even it is says Firefox 5 or major update, but Firefox 5 look identical than its predecessor Firefox 4. The only major feature added is Tracking feature, you can find it in Firefox menu > Options > Privacy tab > select “Tell web sites I do not want to be tracked”. And this Firefox 5 is the first Mozilla Firefox in Mozilla’s new release cycle of smaller, more frequent upgrades, as opposed to huge ones every few years to keep their promise to deliver rapid release development cycle. Even there are a lot of improvements, i tried to test it with Acid3 benchmark test, and the result is the score still the same 97/100. For browsing performance, i feel no different. The only different is some of my Firefox’s addons not working in this new Firefox 5. 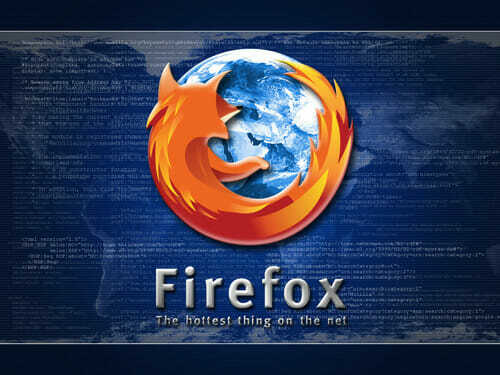 So now i revert back to Firefox 4 and stick with it until this Firefox 5 is ready and stable.